The Aspire Group supports partners in all areas of Ticket Marketing, Sales and Service, or what Aspire calls “TiMSS”, in order to maximize ticket sales and attendance. The synchronization of these capabilities is the foundation for Fan Relationship Management Centers (FRMCs) operating across the USA. Fan relationship management is not to be confused with the typical outbound sales function, a customized FRMC offers partners a new way to create fans for life. Each of our FRMCs’ strategy can be fueled by both our Data Insights and Strategic Consulting & Research capabilities. Aspire’s FRMC operations are custom-built based on the size and scope of work desired by the partner. Aspire can provide the entire ticket marketing, ticket sales, and ticket service (TiMSS) package or just fill the holes currently within external departments. Aspire’s staff seamlessly integrate into the fabric of our partners and serve as brand ambassadors in the community. Aspire has the unique ability to support ticket marketing, ticket sales, and ticket services initiatives out of its National Sales Center (NSC) in Atlanta, GA. Over 55 sport and entertainment properties have utilized the NSC for one-off events, supplemental sales staff support for on-site operations, and/or year-round ticketing support, producing over $8 million in new revenues since 2012. Our NSC partnerships are highlighted by properties including the US Open Tennis, NFL Pro Bowl, Honda Battle of the Bands, and the Penn Relays. 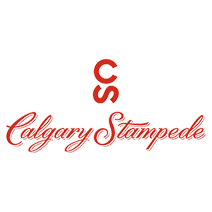 ”With their proven track record of success in driving tickets sales, we are very excited to build on our relationship with the talented Aspire Group,” said Jason Coxford, Manager, Marketing and Ticket Sales for the Calgary Stampede. Aspire’s licensed model is a traditional FRMC operation without outsourcing staff and utilizing using all of Aspire’s IP and “Next-Practices” (future best-practice) in strategy, systems, and structure. This includes strategic consulting & research services, the Executive Development Program “Raise Your Game”, company intranet for internal communication and sharing, attendance at our annual Leaders Retreat, and access to monthly “Next-Practice” company-wide calls. “As Liberty Athletics continues its expansion and upward trajectory in college athletics, we are excited to create a cutting-edge partnership with Aspire. 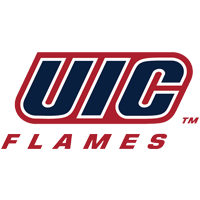 This model will equip our ticket sales team with the expertise and strategic guidance from the industry-leader in ticket solutions and best serve Flames Nation.” – Ian McCaw, Liberty University Director of Athletics.